When Amelia was a newborn we had one of the traditional plastic baby baths and when she grew out of it we moved her into the Summer Infant Baby Seat which she used right up until she no longer would sit on it (around 6-7 months). We loved it! Bath time was so much easier, however it would have been great to bath her in the sink every now and again and so much easier if we were at Nana's house. This is where the Blooming Bath comes in. This amazing invention was created by 4 dads who wanted to make bath time easier! The blooming bath is an alternative bath tub for babies. It's is a soft, safe and comfortable insert that turns any sink into a stress-free bath time environment - for you and baby! Also help ease back pain after giving birth instead of bending down over the bath tub. Now that Amelia is much older it's not really much use in the sink, which is why we use it in the bath instead! She loves sitting on it and it's so comfy! I wish we had this when she was younger and I could have put her in the sick for bath time, she won't fit in the sink now but the sink over at Nana's is huge so it fits easily in there and we can wash her quickly with her being comfortable and safe. It such a hassle trying to bath a baby in the sink with one handy whilst holding a young baby with wet hands! I can see this being a fantastic help for any parent bathing their baby on their own. Once your baby has grown out of the sink you can still use it in the bath for more support and more space. 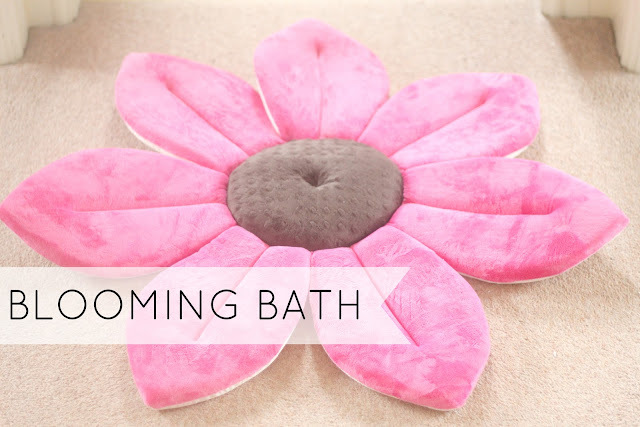 The Blooming bath is made from incredibly soft, cuddly materials and the petals hug the sink to create a safe, fun and convenient bath time experience. The material cradles and cushion your baby unlike any other bath tub. To use the Blooming Bath all you need to do is simply push it into your sink and it will create a cushioned cradle to wash your baby in. When you are finished gently squeeze out the excess water and throw it in in the dryer or you can just hang it up with the tag on the back and let it dry over night. I found that it dried extremely fast to my surprise! The Blooming Bath is recommended for newborns to 6 months, however you can still use it after that in the bath for a fun safe environment. 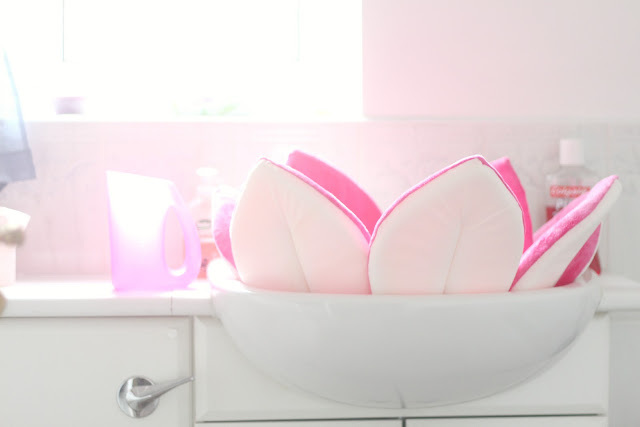 You can also use the Blooming Bath with the plastic baby bath tub to create a plush, soft, safe and fun bath experience. We have enjoyed using the Blooming Bath and I look forward to using it with baby No2 too! Amelia loves lying on it, even though we didn't have it when she was much younger I can see that it would have been extremely beneficial. I wish they did them in adult sizes! 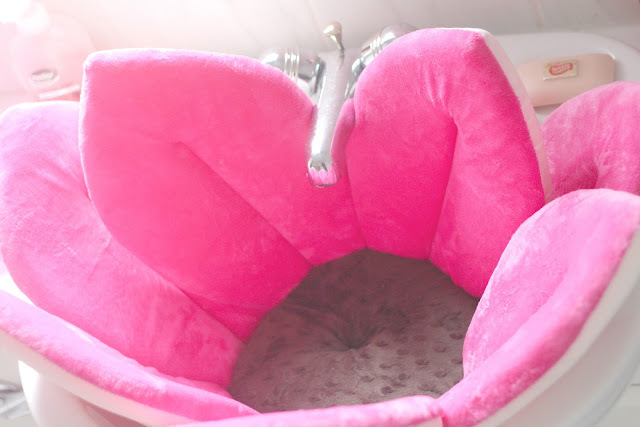 The Blooming bath is available to purchase for just $39.99 in a range of colours. 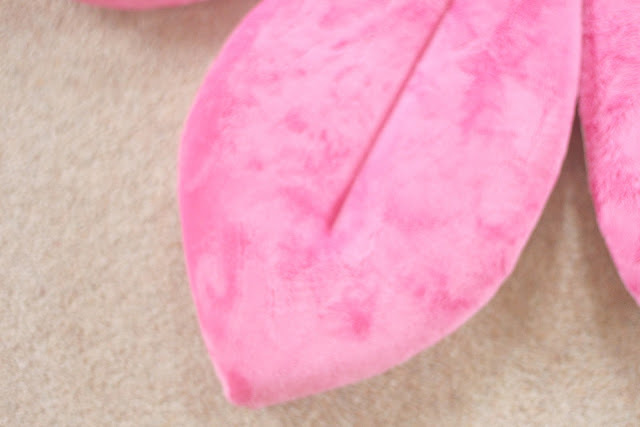 You can follow Blooming Bath on Facebook and Twitter to stay up-to-date on future products, promotions, and giveaways. I got one at my baby shower and can't wait to use it! This looks amazing I want an adult size one ! Great product ! This is a great idea. When my eldest was a baby we would stick him in the sink for a quick wash and he loved it, I wish these were around then! It just looks so comfy and totally easy on the eye compared to other bath product alternatives.